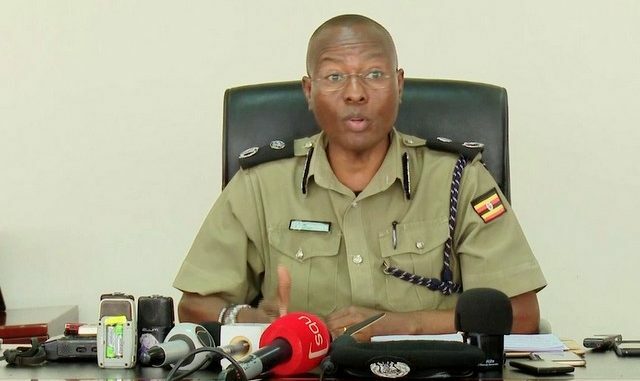 Assistant Inspector General of Police (AIGP) Asan Kasingye, threatened to resign on after his colleagues, during a meeting of the senior officers of the force, asked him to retract his statement that four suspects had been arrested in connection to Geoffrey Byamukamas torture. Courtesy Photo. Cracks are emerging in the Uganda Police Force over the handling of the suspects — in the torture of Kamwenge Town Council Mayor, Geoffrey Byamukama when were arrested. This publication understands that police spokesperson Asan Kasingye threatened to resign on Wednesday 17th, May 2017 after his colleagues, during a meeting of the senior officers of the force, asked him retract his statement that four suspects had been arrested in connection to Byamukama’s torture. Byamukama, alongside at least 15 other suspects, is accused of taking part in the March 17 murder of Assistant Inspector General of Police (AIGP) Andrew Felix Kaweesi, his driver Kenneth Erau and bodyguard Godfrey Wambewo. The three were ambushed by gunmen while they drove from Kaweesi’s home in Kulambiro, a Kampala suburb. Besides Byamukama, the other suspects have also appeared in court with fresh wounds allegedly sustained during torture at Nalufenya. The police first denied Byamukama’s arrest in early April until it all came to light late last week when he was found at Nakasero Hospital in Kampala with deep wounds all over his body. Kasingye first said the torture could have happened elsewhere and not in police custody. The Inspector General of Police, General Kale Kayihura, ordered for the arrest of two senior officers, Patrick Munanura and Fred Tumuhirwe together with their juniors, Sgt Tumukunde and Constable Ronnie Byenkya in connection with Byamukama’s torture. Kasingye who had earlier denied that Byamukama had been tortured by the Police later admitted in a statement that there had been “a scuffle in which the mayor sustained superficial injuries.” A week ago Kasingye also confirmed that the four torture suspects had been arrested. State Minister for Internal Affairs Obiga Kania in his address to Parliament apologized for the fact that Byamukama had been tortured. Obiga also confirmed police had arrested four officers allegedly linked to the torture of Byamukama and other suspects at Nalufenya Police Detention facility. He said investigations were still ongoing. Now this publication has learnt from reliable sources in the Police that the suspects have never been arrested. General Kayihura ordered for their arrest before he left to Algeria on official duties. A source told this publication that Uganda Police Accounts Committee held a meeting on Wednesday where the torture issue was discussed. 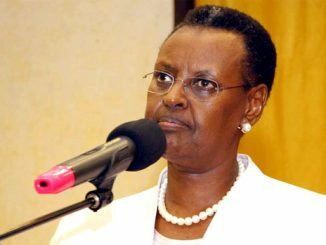 The highly charged meeting is said to have taken place in the board room at Police Headquarters in Naguru. The Police Accounts Committee is comprised of members of top police management who include all the Directors. The source says the only officer absent in the meeting was John Ndungutse, the Director of Counter Terrorism. The meeting was chaired by Deputy Inspector General of Police Okoth Ochola. The meeting reportedly learnt that no suspect had been arrested. A report from the police Professional Standards Unit was brought into the meeting indicating that the four supposedly arrested officers are neither in custody nor at their known addresses. Those in attendance tasked Deputy Director Criminal Investigations and Intelligence Directorate, Moses Musana and Nixon Agasirwe, who until recently was head of the Special Operations Unit, to produce the suspects but they could not be produced. Musana reportedly used to head the Nalufenya facility. The meeting, according to the sources, also tasked the Director Criminal Investigations and Intelligence Directorate (CIID), Grace Akullo to open an inquiry into the torture allegations with view of instituting criminal proceedings against the suspects. The meeting allegedly turned stormy when Police Spokesman, Asan Kasingye was advised to call a media briefing in which he would retract confirmations about the arrest of the two senior officers and their juniors. Kasingye according to the sources was not happy with calling a press conference to retract his earlier statement that the four had been arrested. He reportedly threatened to resign over the matter that would depict him as a liar. Kasingye in a telephone interview on Wednesday evening did not confirm whether the Police Accounts Committee was held. He also denied that he had threatened to resign. He however said the Internal Affairs Minister, General Jeje Odong, was to issue a statement about the progress in the investigations into torture allegations. General Odong could not be reached on his mobile. State Minister for Internal Affairs, Obiga Kania, could not confirm reports that the four suspects were not in detention. 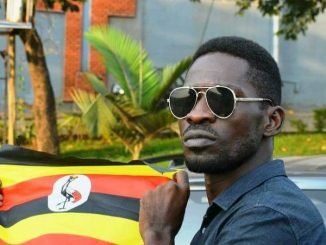 Obiga Kania who sounded furious about the matter said Kasingye and his boss would have to explain why they would let him lie to the public and Parliament that the arrests had been made.